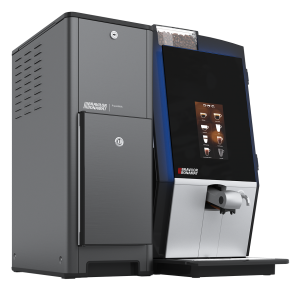 Bravilor Bonamat are pleased to launch the new Esprecious M series, the new addition to the already popular Esprecious bean to cup range. The Esprecious M series shares the same stylish design as its soluble counterpart – perfectly angled glass, sumptuous grey stainless steel and LED accent lighting – but with the addition of a clever integrated milk unit. The Esprecious remains the same and utilizes all of the reliable components as before but now thanks to an ingenious, yet inconspicuous connection and embedded software the FreshMilk module – the star of the show – can spring to life. 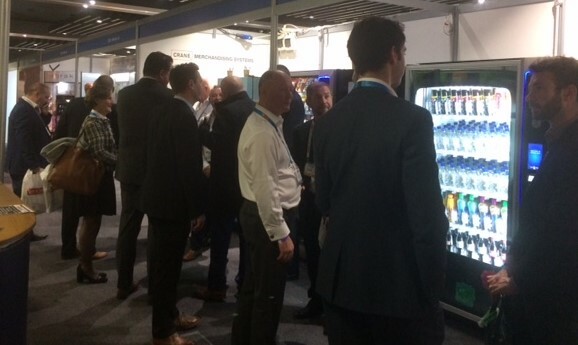 The 8 drink selection menu is clear precise and allows you to individually name your drinks to your specific installation, perfect for sites where terminology or language differ. The Esprecious M series seamlessly delivers 200 cups per day based on an 8oz delivery per cup. The milk foamer inside the Esprecious creates a milk foam as light as air. The accurate combination of fresh cold milk, steam and air creates milk foam of superb quality. A major advantage of the FreshMilk is that it is controlled by the Esprecious touchscreen and our intuitive user interface. Simply purchase the Esprecious 11L or 21L with the FreshMilk unit and use the bountiful drink configuration settings to create a coffee masterpiece with fresh milk direct from the integrated milk fridge where milk is maintained at the optimum temperature. Come and see the Esprecious M series on our stand F4-F5 at Vendex North.